The African Beach Cabin is located on North Chesterman Beach, just outside Tofino in British Columbia. 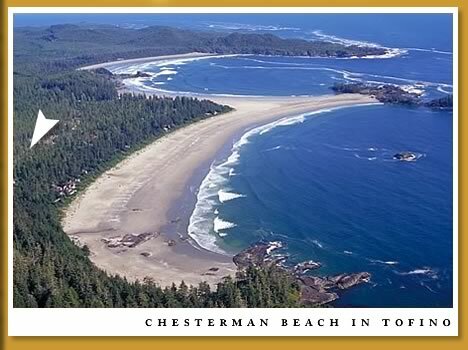 One of Canada's premier surf beaches, North Chesterman is a wide flat-sand seaside that looks west to the Lennard Island lighthouse and to the open ocean beyond. The beaches are the bases of Tofino's lifestyles, and Chesterman Beach is an unequalled place for walking, running, Tofino surfing, sea kayaking, kite flying, summer swimming, stargazing, tidepool exploring, stormwatching, and anything else one can imagine on one of the Island's purest and most picturesque shorelines.